Shirley MacLean Beaty is a Richmond, Virginia-born American actress, singer, dancer, and author, as well as an activist. 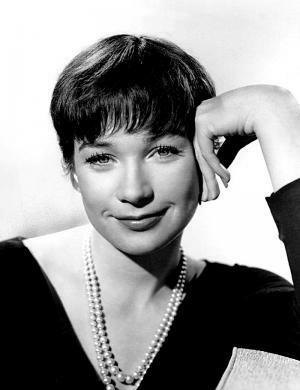 Born on 24 April 1934 and known professionally as Shirley MacLaine, she is an Academy award winning actress, andone of the most respected personalities in Hollywood, on TV as well as in the theatre. She has been actively entertaining us since 1953. A very popular and prominent actress in America, one may wonder how rich is Shirley MacLaine? As of mid-2016, Shirley counts her net worth at an amount of $50 million as estimated by sources. She has been able to amass such wealth being a successful actress in Hollywood and on TV, while her prominence on the stage as an actress, singer and dancer has all added well to her riches over the years. Shirley was named after Shirley Temple, another famous actress who was only six years old at the time MacLaine was born; she was raised in Richmond, Norfolk, Arlington and Waverly, and started ballet dancing at the age of three to overcome her weak ankles. As she started dancing, she became very interested in performing and never missed a class. While growing up, she was also inspired to act by her mother, a drama teacher. Shirley started her career in acting when she starred in Alfred Hitchcock’s movie “The Trouble With Harry” that was released in 1955, and for her first movie, she won the Golden Globe Award for New Star of the Year, which gained her popularity in Hollywood at this initial stage of her career. Her net worth was well established. Later, she became more prominent in Hollywood and starred in several movies. She worked with Frank Sinatra and Dean Martin in the movie “Some Came Running”, which earned her a nomination at the Academy Awards as did her work in the movie “The Apartment” in which she worked with Fred MacMurray. In 1983, Shirley played the role of Aurora Greenway in the movie “Terms of Endearment” which earned her an Academy Award as well as a Golden Globe Award for Best Actress. Until today, she has appeared in more than 50 movies and has won five Golden Globe awards, two BAFTA Awards, and Emmy Award and an Academy Award while also being nominated for numerous other prestigious awards and accolades. An actress well known for her love of performing, Shirley has also managed to show her worth on American television. She has been a part of television shows like “Shirley’s World”, “Joan Of Arc” and more recently “Downton Abbey” and “Glee”. For her contributions towards the entertainment industry, Shirley was rewarded with the Kennedy Center Honors in 2013. She also has a star on the Hollywood Walk of Fame, being inducted in 1999. As for her personal life, the 82 years old actress now leads her life as a divorcee. She was previously married to a businessman Steve Parker from 1954 to 1982. She has a daughter named Sachi Parker who she shares with her former husband, and who is now a famous actress. Sister of famous actor Warren Beatty, Shirley has occasionally courted controversy for her views on religions, and remarks on spiritualism, and the Holocaust. However, she now enjoys herself as a widely reputed actress with an impressive and successful career. Moreover, her present net worth of $50 million caters to her daily life in every possible way.